What do we mean when we talk about the new leader? 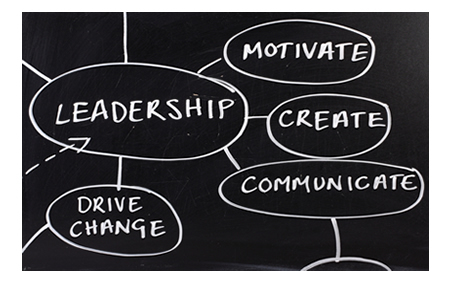 Why is the role of the leader in organizations, businesses and communities changing? Some people lament the loss of traditional leaders. Is it actually a loss or is it just a sign of progress and change? The leaders of the past are exactly that – past. New leaders must work with their people or employees. The old days of “working for” or “because the boss said so” are over! Just think of the old definition of leadership motivation. “Getting the right people, to do the right things, in the right way, at the right time”. Now think about the new definition. “Getting the right people, to do the right things, in the right way, at the right time, because they want to”. How does a leader ensure that people “want to” work “with” him or her? What are the top 10 strategies that new leaders can use to ensure that they get the desired results? 1. Find the balance between people and task. Always keep in mind that the tasks will be done with more quality and effort when people are recognized and rewarded. 2. Use the 4 X 1 formula for providing feedback. When you provide four pieces of praise, recognition, or reward, people will feel comfortable with a correction or criticism when it is offered. Move completely away from the old saying, “no news is good news”. New workers or employees need to know how well they are doing as well as what needs to improve or be done differently. Build a foundation of trust by providing positive feedback. That will prevent the syndrome of, “nobody notices what you’re doing until you make a mistake, or do something wrong”. 3. Always be ready to answer the question, “Why?” New employees / workers have always been reasoned with by parents, teachers and even authority figures. They will ask, “why”, why not”, “why me” and even “why now”. They expect leaders to be logical and reasonable. They want to engage in discussion for greater understanding. 4. New leaders must be assertive. Aggressive behaviour or passive aggressive behaviour will not work with the new worker. Indeed, it never did work well! However, when a new leader demonstrates aggressive or passive aggressive behaviour, he or she is likely to be called on it, or asked “why” he or she is behaving that way. New leaders must be prepared to communicate clearly and directly, with a goal of focussing on the problem – not on the problem person. 5. Beware of the temptation to micro-manage. The new leader needs to be an excellent delegator. It is just fine to offer support and follow-up. However, it is very important to allow people the time and trust to do the work assigned to them. Excessively checking on progress and demanding updates will destroy the confidence of even your best employees. 6. Be flexible and adaptable. Always focus on the outcomes. There is often more than one way to get to the goal. Be open and interested in new approaches and methods. View new ideas as opportunities to learn. 7. Encourage creativity. New people bring new ideas and new resources. Encourage discussions that build on new and possibly better ways to approach old problems and come up with solutions. The new leader needs to facilitate brainstorming and celebrate creativity. 8. New leaders must appreciate the ability of newer and sometimes younger employees to multitask. They are part of the multi stimulus generation. Yes, they can work on diverse tasks and more than one task at a time. Indeed, they are generally more motivated by the challenge of multitasking. As a leader this can work to your advantage. 9. New leaders need to ensure a work environment that offers challenging tasks and opportunities to learn and develop. The new worker / employee is not as motivated by routine and consistency as many people believe. New challenges, short term activities with demanding deadlines and pilot projects are highly motivating in the new world of work. As a leader, you will want to be certain these elements are available in your workplace. 10. New leaders must understand the importance of enjoyment and fun in work environments. Encourage team activities and even positive competition to add to the lightness of the workplace. Job quality, attendance and participation are all enhanced by a fun filled, enjoyable workplace. Leaders today need to understand that new workers do not feel they have to work. They want to socialize at work and they value socialization talk as part of their interaction. Workers no longer believe in “work to live” or “live to work”. They value the balance of work and life. Fun, excitement, encouragement and interaction are critical to the new worker. People who were once told, “quit laughing and get to work” now believe they should keep laughing and the work will be done – even better. As a leader, bring laughter and joy to your workplace. That’s what we mean when we talk about the new leader. Prepare to use these strategies, they will work for you.